The rundown: We’ve arrived at one of the biggest categories of the year, which is very much in danger of being extremely boring. The DGA list matched the Golden Globes’ picks exactly, which has only happened three times when both groups had five nominees, most recently in 2010. Only once, in 1977, did those two lists end up being what Oscar chose too. 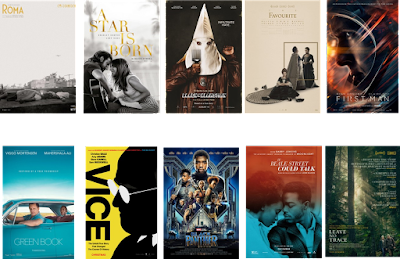 When there were only five Best Picture nominees, there used to be a “lone director slot” that went to another film, but that’s only happened once in the case of the expanded field, with Bennett Miller earning a bid for “Foxcatcher” in 2014. This year, the undisputed frontrunner is Alfonso Cuaron (Roma), who has already taken home prizes from the Globes and the Critics’ Choice Awards. He won this prize in 2013 for “Gravity.” There’s no reason to suspect that Spike Lee (BlacKkKlansman) won’t earn his first-ever bid in this category, and, though I’ve read worrisome reports to the contrary, the same is true of Bradley Cooper (A Star is Born), a three-time acting nominee whose film should be totally fine for nominations even if it won’t win as many awards as predicted long ago. The other two potential nominees embraced by both the Globes and DGA are Peter Farrelly (Green Book) and Adam McKay (Vice). The former made a film that, traditionally, wouldn’t end up with a directing bid, while the latter, who was nominated in 2015 for “The Big Short,” made a controversial film that many don’t like. If the film is as popular as people think it will be, Ryan Coogler (Black Panther) could get a nomination, but it doesn’t seem likely at this point. Barry Jenkins (If Beale Street Could Talk) has missed out too many times this awards season to be considered a real contender anymore, but he did helm the film that won Best Picture just two years ago, “Moonlight,” and therefore shouldn’t be counted out entirely. With conversation about how the field looks to be all men again this year, Debra Granik (Leave No Trace) seems to be the woman with the best chance, and I would be thrilled even if I really don’t think it’s going to happen at this point. Film devotees would love to honor Paul Schrader (First Reformed) for his long career, but that film has missed out on any nominations with most guilds even after collecting a number of critics’ prizes. Pawel Pawlikowski (Cold War) surprised with a BAFTA nomination, and his film is expected to be a foreign film nominee, so don’t count him out. I’m going to predict Yorgos Lanthimos (The Favourite), who scored bids from BAFTA and the Critics’ Choice Awards, to take a spot, which seems likely given love for the film. My choice for the fifth slot is indisputably riskier since, though he won this prize just two years ago for “La La Land,” Damien Chazelle (First Man) only merited a Critics’ Choice nomination from all the major precursor groups, and his film is not expected to show up in the Best Picture list. It’s bold, but I feel like I’m not taking nearly as many chances as I usually have in the past, so here goes. His achievement is a technical one, and I think he’ll be rewarded here. One possible crazy scenario: His film is expected to score a few technical bids, but John Krasinski (A Quiet Place) could shock by earning a place here for his suspenseful thriller. Forecasted winner: Some are saying Lee, but I’m sticking with Cuaron.